If there is one place here on earth that I dreamed of visiting to then I’d say that I definitely want to see Disney Land in the US! Disney is not only a place for kids but adults and those young at heart as well and without doubt any one who visited here will cherish those memories. With many tourists flocking in each year in this magical place, there are many discounted Disney World tickets that any vacationer can avail of. 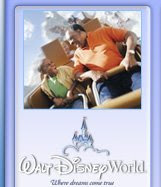 Fun filled laughter and great theme parks will treat each guest inside the park. There are many tour options that anyone can get advantage and in this way you can budget your money for this vacation. Ahhhh I can’t wait to see Mickey mouse and other Disney characters and be young again.